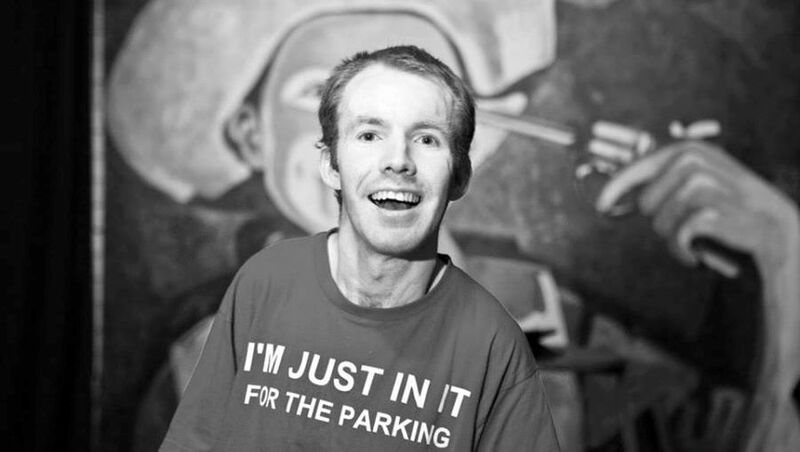 When Lee Ridley (a.k.a Lost Voice Guy) was rushed to hospital during last year’s Edinburgh Fringe, he nearly died of pneumonia. Yesterday things went full circle when, at The Stand in Edinburgh, Ridley jumped onstage to save the day when fellow comic Martin Mor took ill during his show, [Kuh-MEE-deeunh]. Mor, who is lactose intolerant, had taken a drink from someone at the gym before going to his show, which unbeknownst to him he’d have a bad reaction to. Not long into the show he thought that he was going to be sick, and the venue staff were prepared to pull the show, but then thought of a Plan B when they spotted Ridley in the audience. “I’ll be honest, after my gig earlier in the day at The Assembly Rooms, I was looking forward to a funny night of just watching comedy for a change,” said Ridley. “My friends were up for the weekend and I suggested going to see Martin Mor. Little did I realise I’d end up filling in for him when he got ill! “At first, I thought he was joking about being poorly. It sounded like the start of a joke. Soon it became apparent that he wasn’t and that the gig would have to end early. “John, the tech guy, then suggested that I could take over if I wanted and, as it was The Stand, I was more than happy to. It was a very surreal experience but, as always, the audience were lovely. It is probably the most bizarre gig I have ever done. Mor is expected to continue his run at The Stand 5 at 8pm tomorrow, while – if all goes to plan – Ridley will just perform his show at The Assembly Rooms at 5pm tonight.